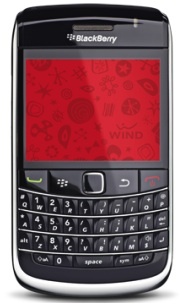 Contest: Win a WIND BlackBerry Bold 9700! Everyone up for another contest… how about winning a BlackBerry Bold 9700! We have 2 WIND Mobile Bold 9700 devices to giveaway and all you have to do is enter your name in the comment section below. The Bold 9700 is one of RIM’s newest devices and comes with the new trackpad (no more trackball) with a full QWERTY keyboard. The screen is 2.44 inch (resolution of 480 x 360), built-in GPS, WiFi, 3.2MP camera with video capabilities, 3.5 mm stereo headset jack, can hold up to 32 GB and can do all your e-mail needs. Overall dimensions of the 9700 are 109 x 60 x 14.1 mm and weighs only 122 grams. As I said above, to enter the contest all you have to do is submit your name in the comment section below – no strings attached. The contest goes until Wednesday, March 24th at 5:00pm and as usual we’ll announce our both winners shortly after. You can only enter your name once… Go ahead, enter your name below!